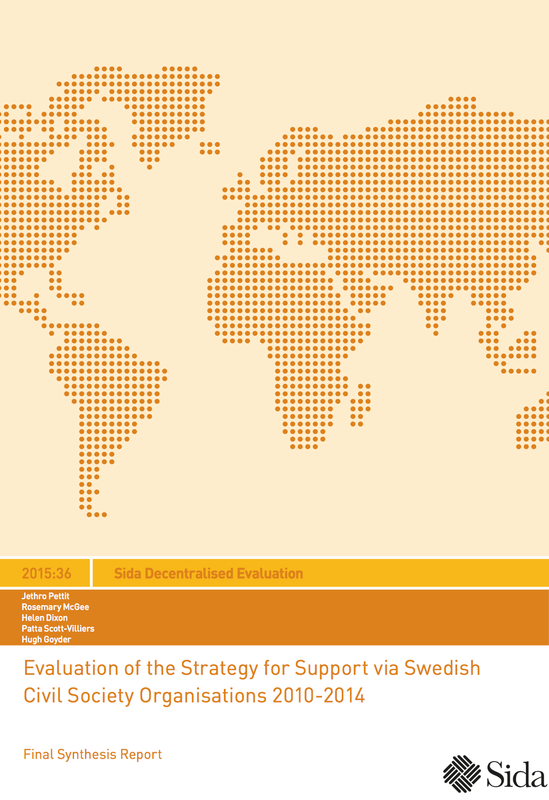 A consortium of three organisations, including the Swedish Institute for Public Administration (SIPU), the Institute of Development Studies (IDS, UK) and International Organisation Development (IOD PARC,UK), carried out a two-year evaluation of the Swedish International Development Cooperation Agency’s (Sida’s) civil society strategy, as implemented by Swedish framework CSOs and their national partners. The evaluation utilised the Reality Check Approach to understand the realities and perspectives of people living in poverty and marginalisation, together with a ‘Meso-level’ study of diverse actors’ efforts to address these issues from local to the national level. The evaluation took place in three countries: Nicaragua, Pakistan and Uganda.